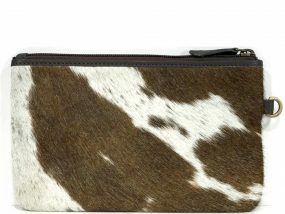 Treat yourself with Belle Couleur’s stunning, simple and modern Hair on Cowhide Clutches & Clutch Purses online or in our South Melbourne Store. 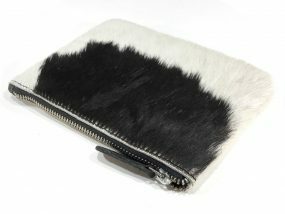 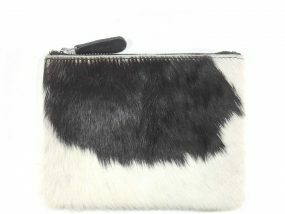 Range of Classic Black & White Cowhide, Tan Cowhide, Multi Colour Hide, Fur & luxe leather options available. 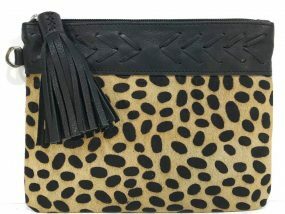 Shop with Afterpay and now with ZipPay! 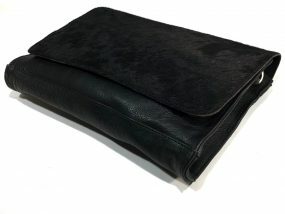 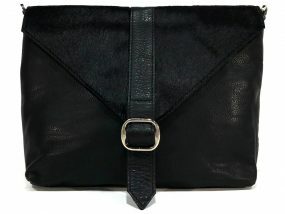 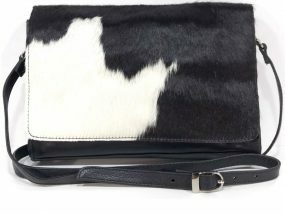 Stunning cowhide leather clutch featuring natural black cowhide to front panel with leather handwork detailing. 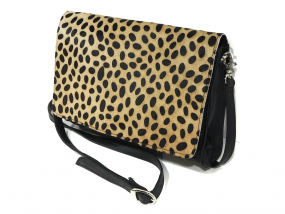 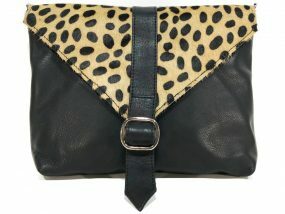 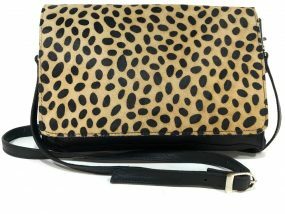 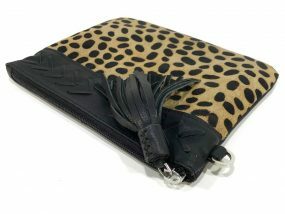 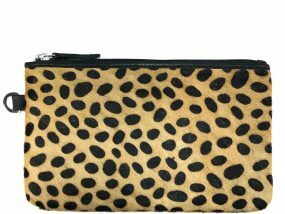 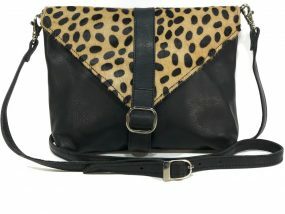 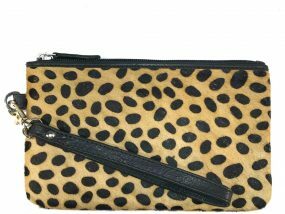 Stunning cowhide leather clutch featuring statement cheetah print cowhide to front panel with leather handwork detailing. 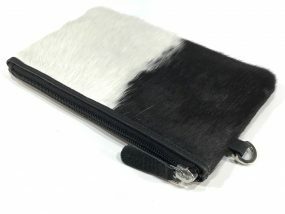 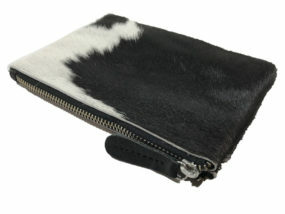 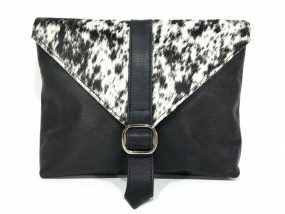 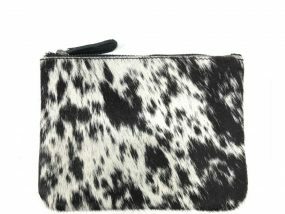 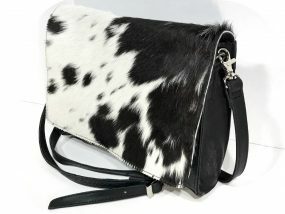 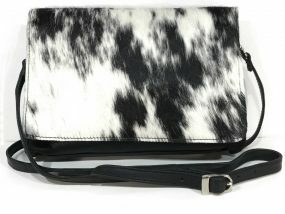 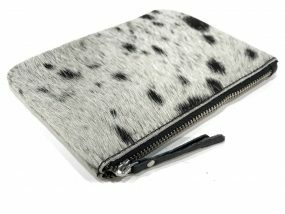 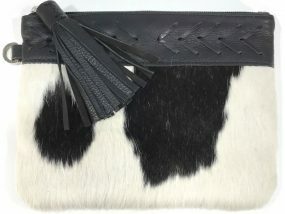 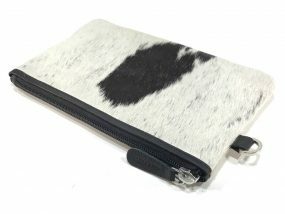 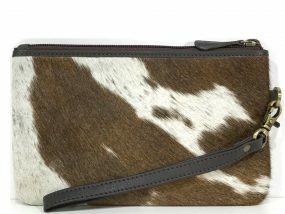 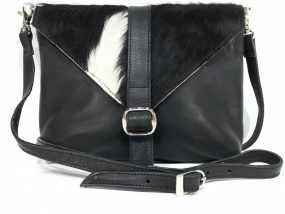 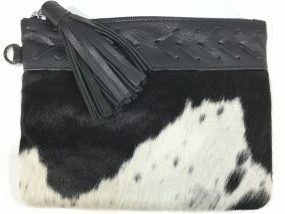 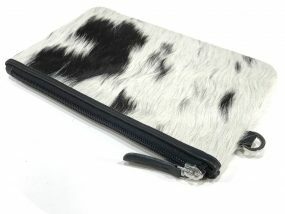 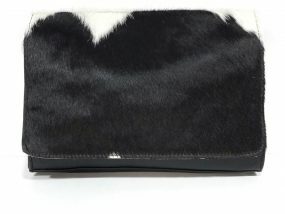 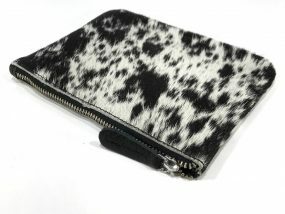 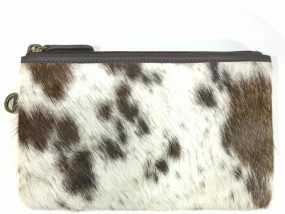 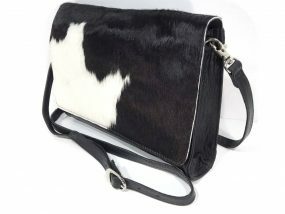 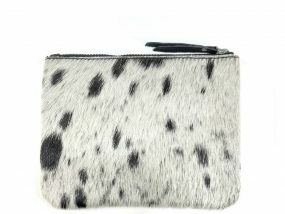 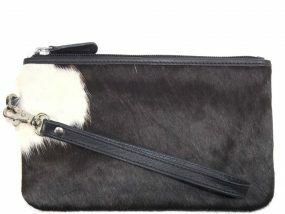 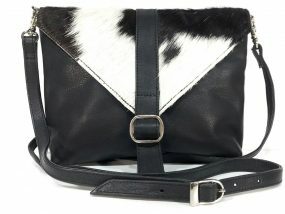 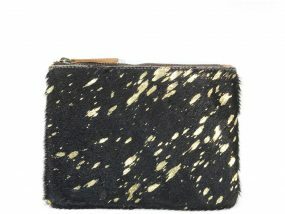 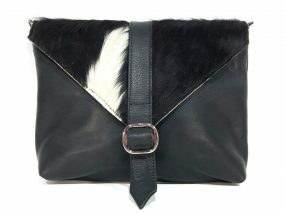 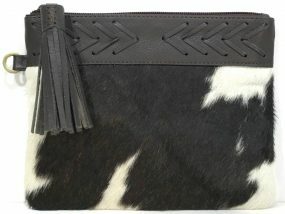 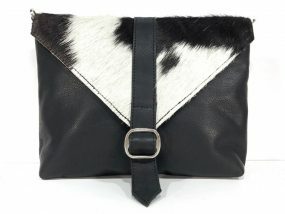 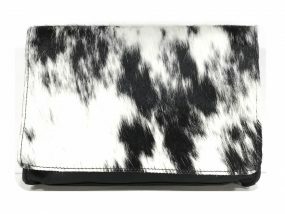 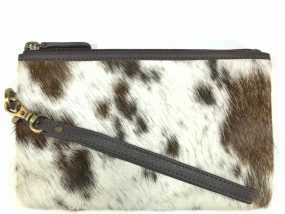 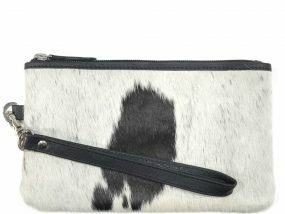 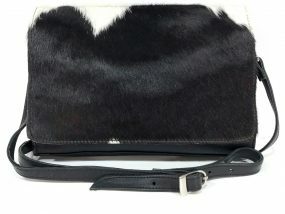 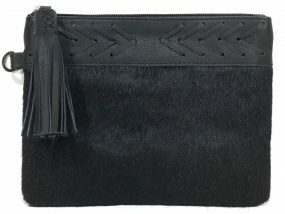 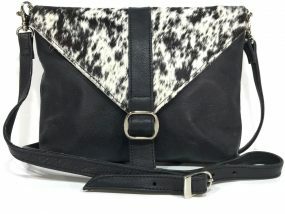 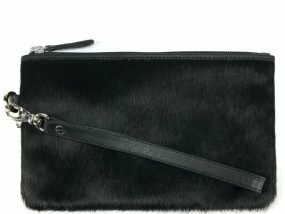 Stunning cowhide leather clutch featuring natural black and white cowhide to front panel with leather handwork detailing. 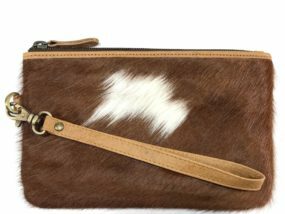 Stunning cowhide leather clutch featuring natural chocolate and white cowhide to front panel with leather handwork detailing. 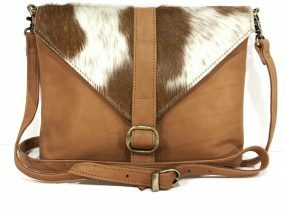 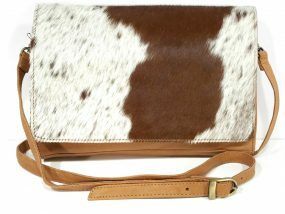 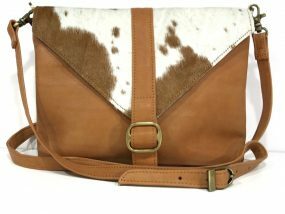 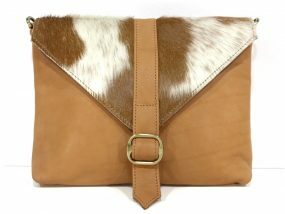 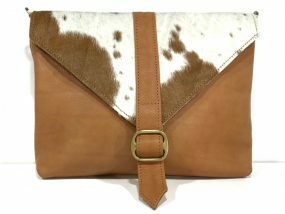 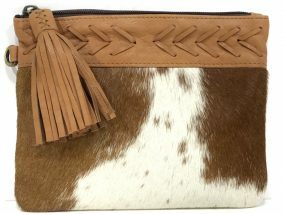 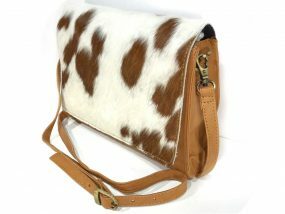 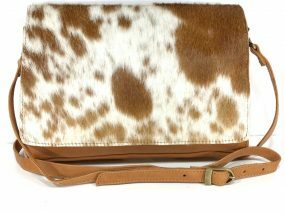 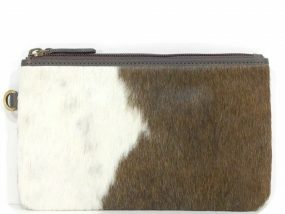 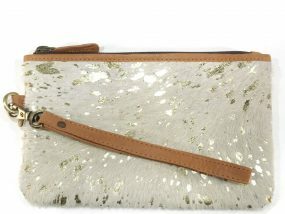 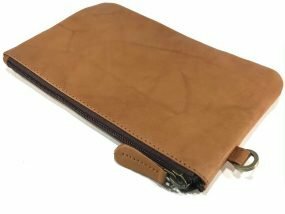 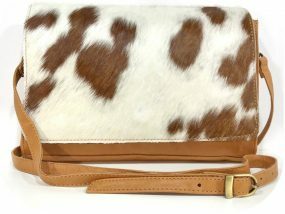 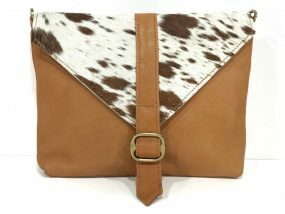 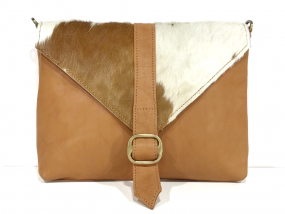 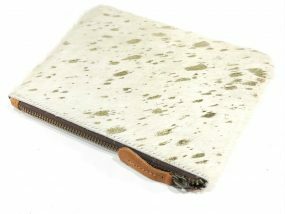 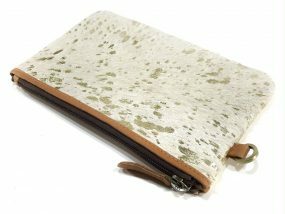 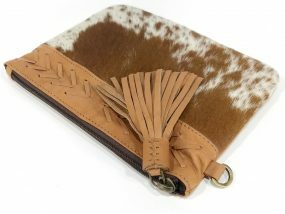 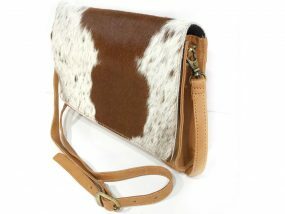 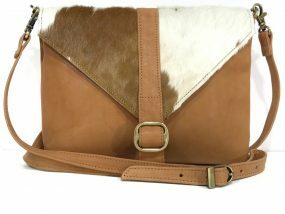 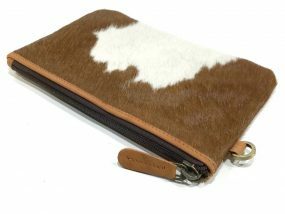 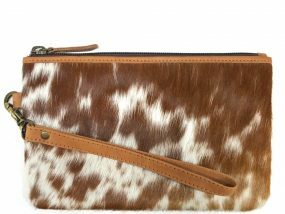 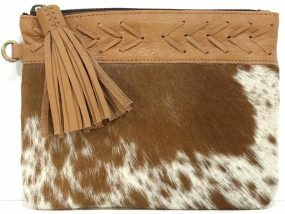 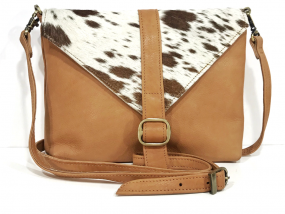 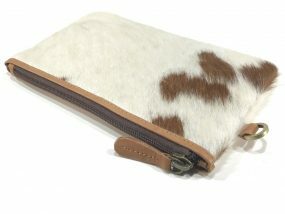 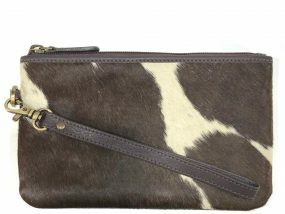 Stunning cowhide leather clutch featuring natural tan and white cowhide to front panel with leather handwork detailing. 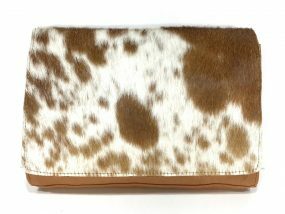 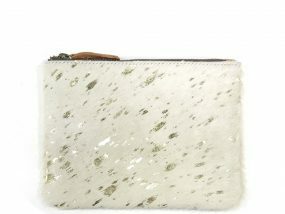 Genuine cowhide leather clutch featuring cream cowhide hair-on panels with statement gold foil feature effect. 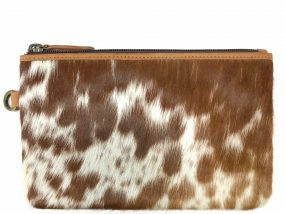 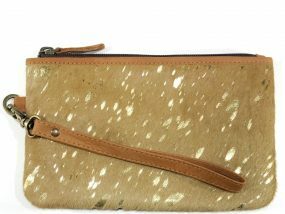 Genuine cowhide leather clutch featuring tan cowhide hair-on panels with statement gold foil feature effect. 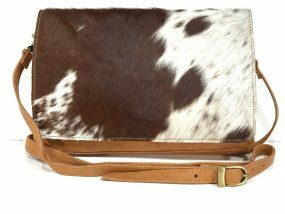 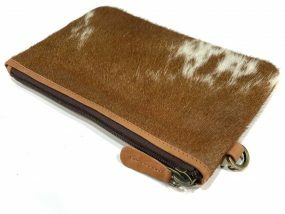 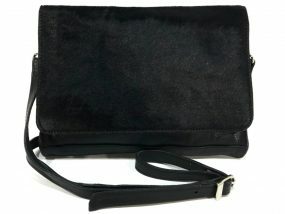 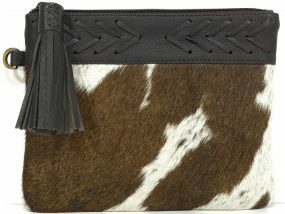 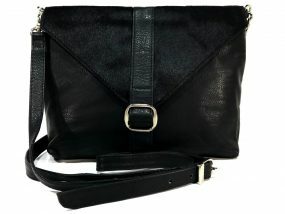 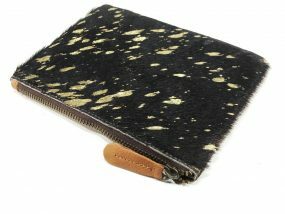 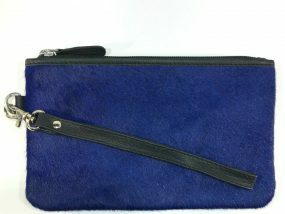 Stylish genuine cowhide clutch featuring quality dry mill leather detail. 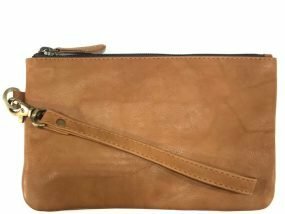 Quality zip closure and detachable genuine leather strap.Heavy duty brushed gold tone fittings provide the ideal contrast to the rustic look of the natural hide. 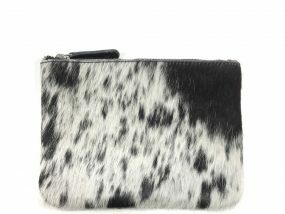 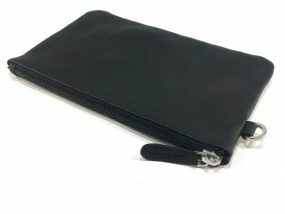 Statement genuine black cowhide leather clutch featuring leather tab to zipper, internal zipped pocket plus 3 internal card pockets. 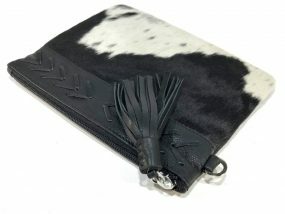 Detachable leather wrist strap and silver metal fittings.As cowhide is a natural product, this is a one off piece and has individual, unique characteristics and markings of the natural leather...no two pieces will ever be the same. 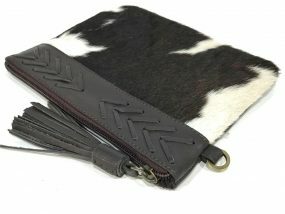 Nature’s natural markings are a feature of genuine leather. 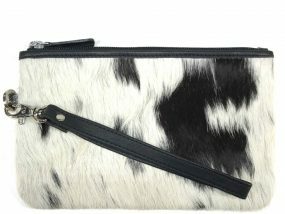 13cm x 20cmStatement genuine cowhide leather clutch featuring cowhide hair-on panels, leather tab to zipper, internal zipped pocket plus 3 internal card pockets. 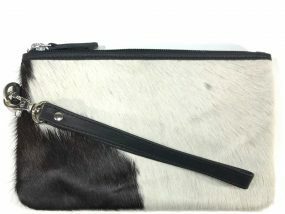 Detachable leather wrist strap and silver metal fittings.As cowhide is a natural product, this is a one off piece and has individual, unique characteristics and markings of the natural hide...no two pieces will ever be the same. 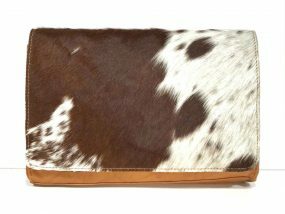 Nature’s natural markings are a feature of genuine leather. 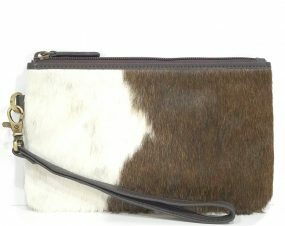 Statement genuine cowhide leather clutch featuring cowhide hair-on panels, leather tab to zipper, internal zipped pocket plus 3 internal card pockets. 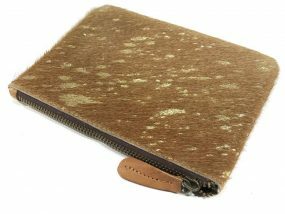 Detachable leather wrist strap and heavy duty brushed gold tone fittings. 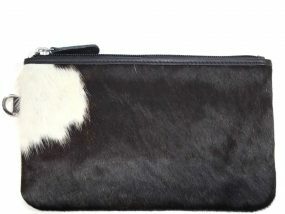 13cm x 20cmStatement genuine cowhide leather clutch featuring cowhide hair-on panels, leather tab to zipper, internal zipped pocket plus 3 internal card pockets. 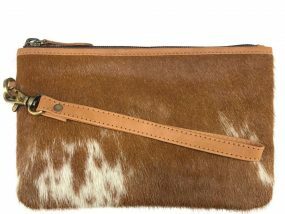 Detachable leather wrist strap and heavy duty brushed gold tone fittings.As cowhide is a natural product, this is a one off piece and has individual, unique characteristics and markings of the natural hide...no two pieces will ever be the same. 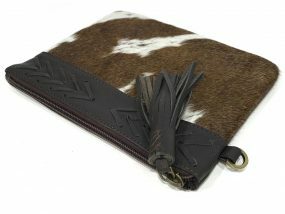 Nature’s natural markings are a feature of genuine leather. 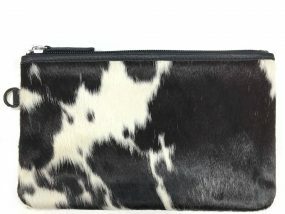 Limited collection!Genuine cowhide leather purse featuring black cowhide hair-on panels with statement gold foil feature effect. 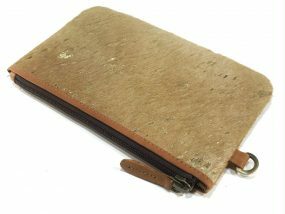 Brown leather tab to zipper, internal zipped pocket plus 3 internal card pockets. 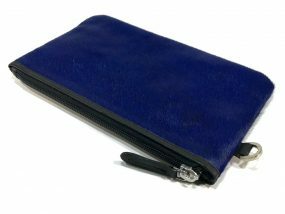 The perfect size for the essentials. 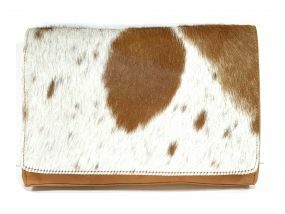 Limited collection!Genuine cowhide leather purse featuring cream cowhide hair-on panels with statement gold foil feature effect. 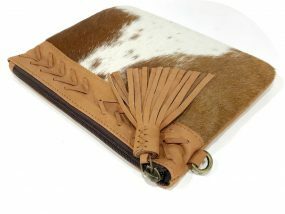 Tan leather tab to zipper, internal zipped pocket plus 3 internal card pockets. 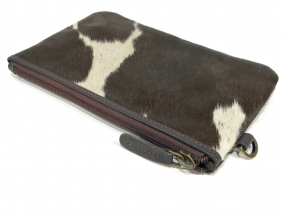 The perfect size for the essentials. 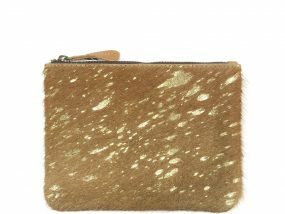 Limited collection!Genuine cowhide leather purse featuring tan cowhide hair-on panels with statement gold foil feature effect. 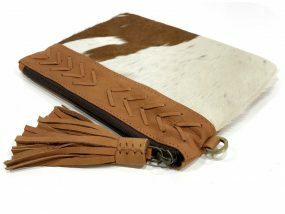 Tan leather tab to zipper, internal zipped pocket plus 3 internal card pockets. 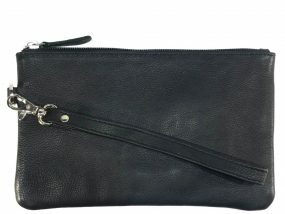 The perfect size for the essentials. 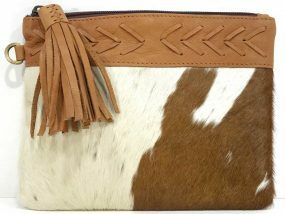 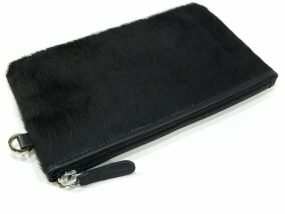 12.5cm x 16cmGorgeous cowhide leather purse featuring hair-on panels, tassel zip detail, internal zipped pocket plus 3 internal card pockets. 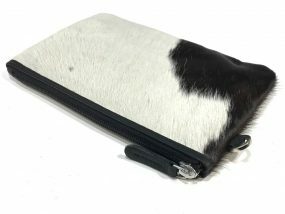 The perfect size for the essentials.As cowhide is a natural product, this is a one off piece and has individual, unique characteristics and markings of the natural hide…no two pieces will ever be the same. 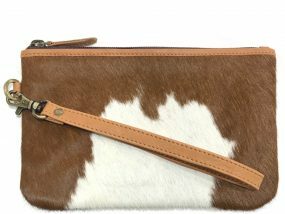 Nature’s natural markings are a feature of genuine leather. 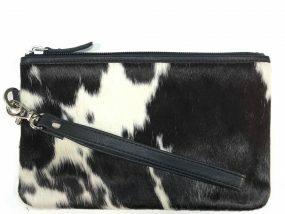 12.5cm x 16cmGorgeous cowhide leather purse featuring hair-on panels, leather tab zipper detail, internal zipped pocket plus 3 internal card pockets. 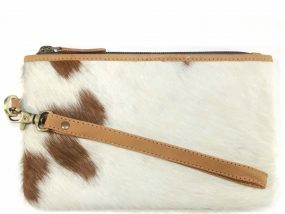 The perfect size for the essentials.As cowhide is a natural product, this is a one off piece and has individual, unique characteristics and markings of the natural hide…no two pieces will ever be the same. 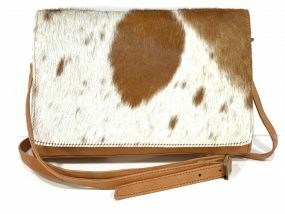 Nature’s natural markings are a feature of genuine leather. 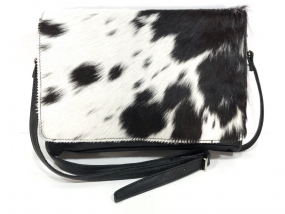 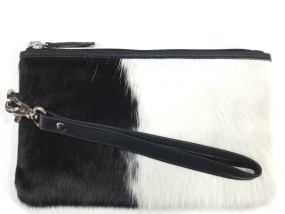 Gorgeous cowhide purse featuring natural black & white cowhide hair-on panels, leather tab zipper detail, internal zipped pocket plus 3 internal card pockets. 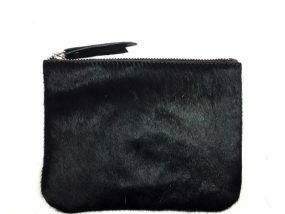 The perfect size for the essentials.